There are two primary drivers of change in HR: technology and talent management. The impact of technology on HR’s work cannot be underestimated. Technology not only frees HR from administration; it also provides the vehicle to leverage information about the workforce. Equipped with hard data, HR can know more, do more and be better business advisors. Further, talent management will become a critical priority for the nation’s businesses—and the strategic purpose of HR’s future role within organizations. Broadly defined, talent management is a company’s ability to attract, retain and motivate employees. The need for effective talent management has enormous implications for HR professionals. 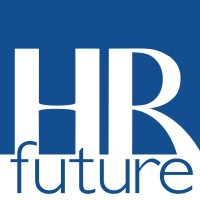 What is the most compelling work in HR today? HR professionals who have the business acumen to contribute to business strategy at the highest organizational levels are leading the shift in the HR profession from administrators to strategic advisors. Those HR professionals who understand the language of business, who speak in financial terms and who express the value of their work in relation to its impact on the bottom line make HR a compelling component in strategy discussions. A CEO quickly connects with the head of HR who can present an investment and return, rather than an expense view of the function. Where is the business going? What are the measures of success, i.e., business drivers? How is the business performing on these success measures? What are some of the key challenges faced in achieving success? What are the business issues that require partnership from HR, i.e., the people implications of business strategy? What is the HR strategy that addresses these business issues? What are the skills needed? Specifically, how do you do it? How do you measure the impact of the HR strategy on the business success measures? 4. How will the strategy be executed? Currently, there are few HR professionals who combine both business depth and functional expertise and there exists a serious gap. 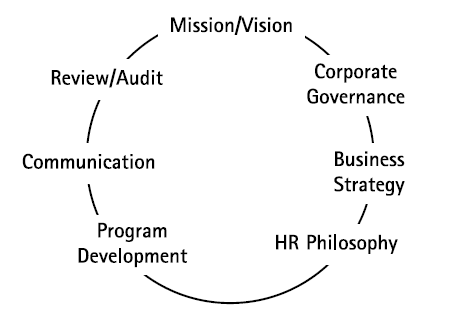 As shown below, HR professionals need to understand these interdependencies, including corporate governance, and their role in each aspect of the business. Within the next decade, what are the primary workplace issues and challenges facing the HR profession? The primary workplace challenge in the next decade is talent management. It will be about strategic staffing and finding those “highly valued” employees. Once you have the talent, how do you manage and retain them? How do you motivate the types of ownership behavior most likely to drive high performance? And as always, how do you manage poor performers out of an organization? Strategic alignment and operational efficiency in the operation of HR; including the ability to measure its impact on business results, i.e., measurements of “soft” issues in addition to cost measurement. Changes in the workforce —There is clear evidence that the demand for skilled workers exceeds the supply of qualified people. Today’s workers are smarter, more demanding and less loyal than their preceding generation. In this environment, employees can and will challenge their employers—with significant leverage. Increased litigation –The aging population will present new legal issues for HR. Legal experts predict that litigation around “wrongful termination” of older workers, while balancing succession planning of younger workers, will begin to outstrip all other legal issues associated with employees. Pipeline of new workers –The aging population presents pipeline issues at the other end of the spectrum. Where will the skilled workers come from to replace Baby Boomers? Worklife balance – Even in companies recognized as leaders in promoting worklife balance, there is an increasing skepticism whether balance exists for employees. The same technological innovations designed to increase efficiency also enable work to pervade all aspects of an employee’s life. Summing up one can say, The vision for the future is based on the real need to measure the link between investing in people and the bottom line. We need to find ways of proving and quantifying this link. At Employwise we have a vibrant and ever growing community of professionals who love to share ideas and keep growing better through various articles and interventions and be future ready.